The section allow define the turn tools parameters. 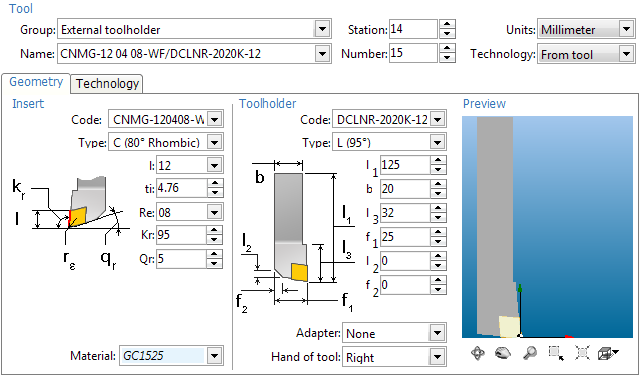 In this section is making edition of aggregated tools and assigning technological parameters. All parameters is divide on geometrical and technological. During a tool generation by early described insert its parameters will be copy to the generated tool. By assigning a tool material to the turn tool, material parameters will be copy to generated tool too.